$525 (includes tax! $45 value) for FOUR hours of runtime!!! 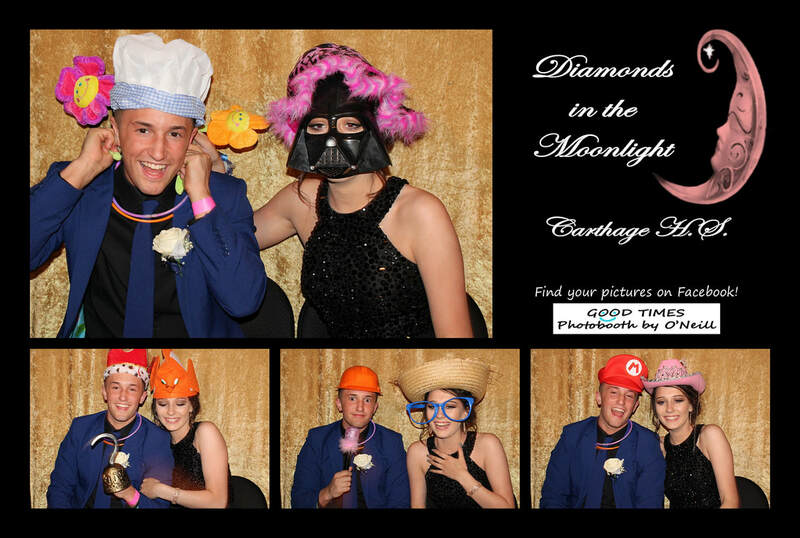 Each 2x6 photostrip is personalized with your event name, and the photostrips have 4 shots each. We print two copies, one for you and one for your guests! We provide unlimited prints throughout your event. You will receive a FREE CD/DVD of all the images from your event. We do not copyright our photobooth images, so feel free to make copies of your prints from your CD/DVD as you wish. Your images will be posted on our Facebook page, where you and your guests will be able to view, comment and "tag" pictures from your event. Non-refundable deposit of $200 required to secure your date. Balance must be paid in full 30 days prior to event. a scrapbook of all your photobooth pictures for your guests to sign! This will be given to you at the end of the reception. The standard photobooth strips are 2x6, but you have the option of requesting 4x6 photos for your guests. This option also has four shots per picture, with the first shot being larger. 4x6 prints are personalized with your event's logo. Photostrip frames: L-shaped frames to display your photostrips. Set of 25 (2X6) for $25. Set of 25 (4x6) for $30. Photostrip magnets: Frames for your photostrips to put on the fridge when you get home! Set of 25 (2x6) for $25. You can offer these to your guests to hold their photostrips for the ultimate party favors!! They are a great way to display and preserve your photostrips!